I come to your home or office which saves you two trips to the grooming shop. Perfect for those busy households. You don’t have to adhere to a shops drop off and pick up time schedule usually four hours apart. Your pet can be groomed even if you aren’t home. ● No tranquilizers are ever used. ● No car clean up. ● One on one professional care from start to finish unlike some shops that have bathers and multiple groomers. 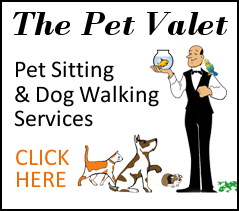 ● I provide uninterrupted quality time with your pet. ● Your pet is never in a cage. ● Grooming is started immediately, no wait time in a cage. ● Your pet never leaves it’s property. ● Ideal for nervous or older pets. ● Can be asleep on your couch in less than two hours. complete brush and comb out, haircut specific to breed or your individual preference, scented cologne, and bandana. For pricing, see our Rates Page. Treat your dog to a day of pampering. 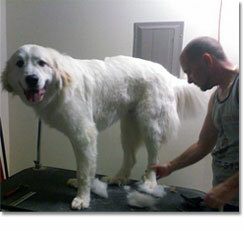 We have spa treatments available to include with your dogs grooming. Choose one for the prices listed below or choose three for just $15. You can mix and match any treatment to make your own spa package.